Full Full width rows (areas) will auto span to match the width of the parent container. 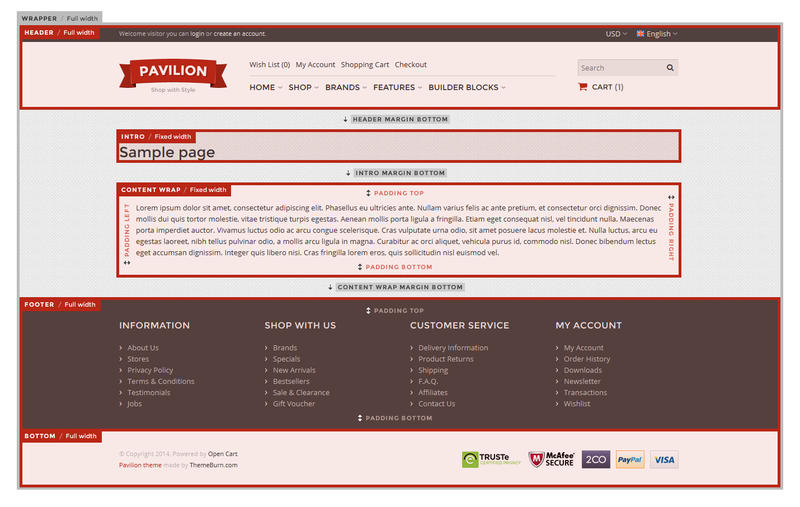 Columns will still span up to the maximum website width (1000 or 1200px). Fixed Fixed width rows (areas) have a maximum fixed width depending on the website maximum width (1000 or 1200 pixels). Fixed (separate) Same as fixed rows, with the difference that there is no spacing between columns and they are border separated. When you set wrapper layout to fixed, the maximum width of all wrapped areas (header, menu, intro, content wrap, footer and bottom) will be limited to the width of the wrapper. Important: Layout is available only for areas and rows. Extra class Insert extra class(es) for additional css styling. Separate multiple classes with space. Space between block and column boundaries. Margin left/right is available only for content blocks and rows. Only values from -50 to 50 pixels are accepted with a step of 5 pixels, e.g. 0, 5, 10, 15 etc. Custom numbers that are not divisible by 5 will not work! Space between the element border and the element content. Only values from 0 to 50 pixels are accepted with a step of 5 pixels, e.g. 0, 5, 10, 15 etc. Custom numbers that are not divisible by 5 will not work! Space between columns. There is no column spacing for rows with fixed (separate) layout. Column spacing can be 0, 10, 20, 30, 40 or 50 pixels. Other custom values will not work! Inner padding Inner padding for the entire column for rows with fixed (separate) layout. 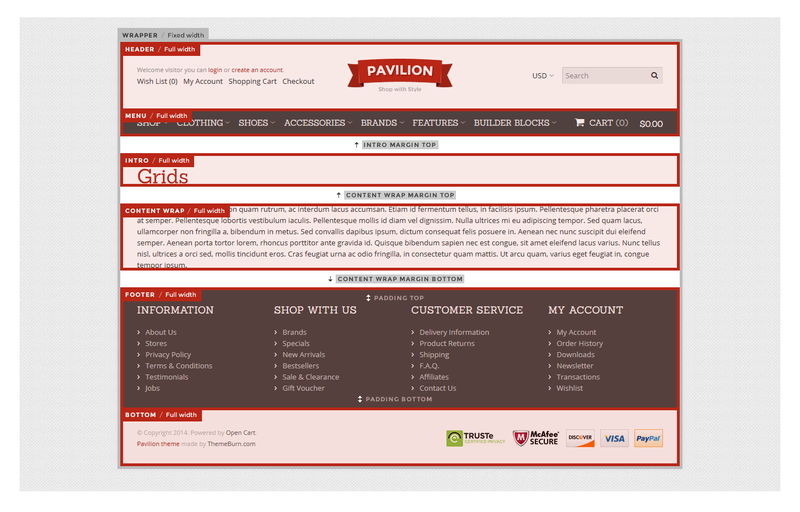 Bottom – Layout: Full / Margin: 0 / Padding: 30px.